Q: What was the starting point of the project? Did you get in touch with director Flemming Enevold or was it vice versa? A: Flemming phoned me up to ask me if I would be interested in the idea of writing the music to Gladsaxe Theatre’s major 2002 launch, Lady of the Camellias (“La Dame aux Camelias”). Flemming wanted to re write Alexandre Dumas fils’ classic story and translate it into a more current and spectacular event with new music and costumes made by the internationally acclaimed Danish designer Jørgen Simonsen (ex-Valentino, now Versace). At first I was slightly hesitant due to the traditional version of the play, but then we met and talked and ran through a lot of ideas of how it could re invented which all began to indicate a very interesting play. At this early stage of the production our prime language went though the visual aspects of the show, the imagery, what kind of sense and style the whole thing would be enacted through. It sounds almost superficial, but in terms of a director and a composer having their preliminary talks, it was a way of getting into a more overall view of the show’s artistic geography. It really did give me a very different and inspiring new way of looking at this classical love story. Q: In which way did the classical version of the play affect your music and your composing? Or did you try to avoid similarities? A: Well, I was definitely not going to try to compete with Verdi’s opera La Traviata or anything like that … I wanted to make something very different, something much more musically “tubercular” so to speak – something much more frail. This early musical notion of mine also appealed to Flemming, particularly in relation to the mental images he had in mind: Although the performance itself should be a very grandiose play, this kind of musical framing would only emphasize the visuals. He wanted to bring back the passion and the drama of the original play to the theatre. In many ways we’ve seen a devaluation of pathos in drama and in stage plays during the nineties, at least in Denmark. Everything had become much more ironic and shallow, and the intention with the new version of Lady of the Camellias was to inject a fresh shot of classical romance, of affectionate pathos, into the living theatre. Now, to me, the higher you climb at one end of the bar, the more weight you need to add in the other, so as I said, I really wanted to undermine the drama musically – to erode it … to put in a sense of nervous trembling underneath it all, underneath this stage colossus, rather than just head on to the trumpet calls etc. Q: How did the play and the music then develop? A: Because of the cd production, I had to finish the music at a time where the players had only just begun to work with Flemming. However, it didn’t really matter after our in depth talks and very aesthetically orientated ways of communication. We had highlighted the sentiment of the whole thing, the imagery and the drama’s heart and blood, so I had a strong sense of direction already in the summer. When I started to work, I started out by composing a series of piano themes, since I knew this was going to be the core of the musical structure in the play, the recurring focus in the show and on the record. I wrote quite a lot of small pieces for piano which were all quite good, but my main concern was to get the right sound into the recordings – to induce the right sense of “texture” within the sound. Once I’d found the sound, the recordings went incredibly easy. Q: Although your voice is absent on the record, the songs – mostly interpreted by Andrea Pellegrini – are typical Hall compositions (which I personally would like to hear with your voice ; )). How did you get in contact with that singer, and how was it to work with her? A: I didn’t want to make use of myself as a singer on the album for a number of reasons. First of all I wanted to direct my complete attention into the writing process itself: I wanted to focus on the compositions, and I wanted to avoid to “identify” myself with the songs. Lately I’ve felt quite uncomfortable in the position of being the “I” of the drama, the “film star” in the song, the centre of attention. I wanted to work as a composer; in a more faceless manner and without any direct involvement in the performance of the music other than playing the piano. This was a great freedom to me – a way of finding a new method of working – since I didn’t have to consider myself as the soloist in terms of the vocal performances. But maybe even more important, I wanted to work with an entirely classical approach to the material this time, and I also wanted to work with a female voice due to the story itself (the main character in the play being a demimonde called Marguerite Gautier). I did some research at The Royal Danish Academy of Music and got in touch with Andrea Pellegrini, a half Italian, half Danish mezzo soprano with this great, dark voice. We got along very well and we basically recorded all her parts in a single day. At the moment we’re considering working together on another project. It was such a great experience to hear Andrea perform the songs, especially “48/40”. The amount of drama she injected into that segment! It really did lift up the whole composition. 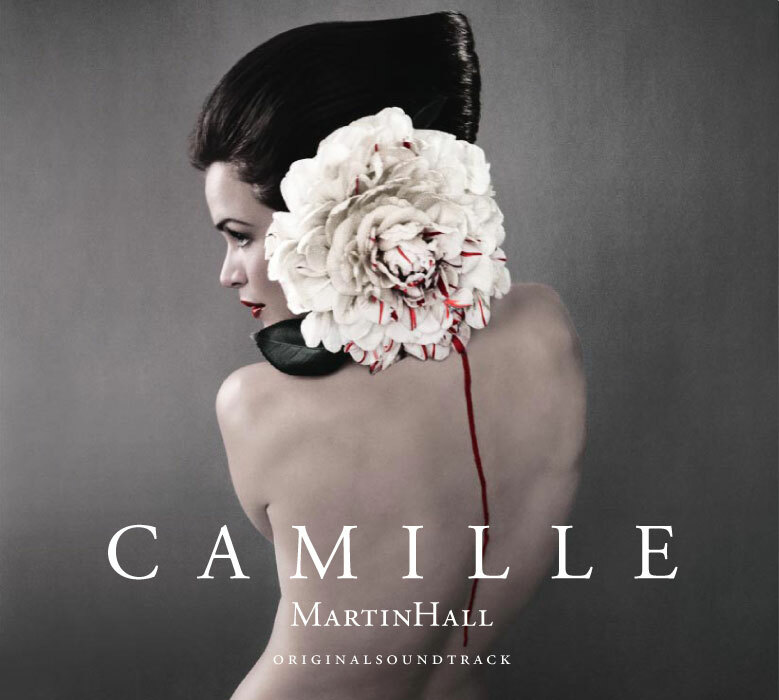 Q: Although your classical ambitions can be heard on albums like Performance and Metropolitan Suite, you have never before been so deeply involved with this genre as on Camille. Is this just an experiment – or a new way? A: I definitely think that my main focus in music has been changing ever since 2000. I got really fed up with rock and pop and heartfelt songs full of Weltschmerz and the like. It might sound very cynical, and I’m in no way throwing away my values for the emotional heights of depths of this kind of music, I’m just readjusting a bit for the future. As I said before, I got tired of being this kind of tormented poet in a song, lavishing his innermost feelings all over the place. I really needed to get away from this kind of focus. The first step was to perform in the kind of libretto style that I did on Metropolitan Suite, a fairly cabaret like performance. Then I wrote the music for the inauguration of the Swedish artist Ingvar Cronhammar’s 14 million DKR building project Elia which was a purely instrumental piece written for piano and orchestra. But I really do feel that I’ve reached some kind of artistic fulfilment with Camille that’s going to benefit my further development, whatever that might be. Q: Camille offers some qualities and flavours that haven’t been that conspicuous on your previous works. To me, the piano pieces pick up on the tradition of musicians like Harold Budd or Michael Nyman (without copying them!). Tracks like “Slow Code” and “Lucid” seem to follow the paths of Eno’s early ambient music. Am I wrong ..? A: Well, obviously I’m familiar with all the names you mention, but if you want to talk about the main influences on Camille, I think it would be classical composers like György Ligeti, Arvo Pärt, Zbigniew Preisner or Eleni Karaindrou. Because I’ve developed my skills as a musician through as much classical education as insight into modern technology – placing equal importance on samples and treatments as to the instruments and performances themselves – then I’ve come out as a sort of hybrid in terms of a “scholarly” defined musical pedigree. In terms of your reference to Eno’s early ambient music, then I remember listening over and over to Music for Airports when it was released in 1979 (MH was born in 1963), but I think composers such as Gavin Bryars and Wim Mertens have influenced my work even more in the long run. One of the important aspects of the sound on Camille is that I’ve recorded all the piano sessions with microphones set up at some distance to the instrument itself – to absorb the sound of the room as well as the performance itself. This kind of sound has a tendency to become quite ambient’ish, since it draws as much atmosphere unto the recording devices as real sound. Anyway, to me the processing of the piano is as vital as the sound of the instrument itself, so I do tend to enforce a kind of “abstract” sonic filter upon my music … something you normally don’t find in classical music. Q: I find “Late August” a bit irritating. Although the styles are quite divergent on Camille, it doesn’t seem to fit in mood and production. Why did you choose this as the final track?